Should Bands add Live Acts to Halftime Shows? At the final home game of the 2015 season the LSU Band was able to do a special joint halftime show with the band 3 Doors Down. Now you may think wow, what a great experience and opportunity for those members! Yes, we agree. A very cool experience and we are glad that they were able to do it. However, that short 2 minute and 22 second clip shows a college marching band at a night time home game standing on the field. In fact, the band stood on the field the entire show. They didn't march at all. To take things up another level, this performance was the last home game of the year meaning this was the last show those seniors would march (stand) at home...ever. They weren't the only band to do this. The Texas Longhorn Band a few days earlier on Thanksgiving did almost the same thing with Jimmy Vaughn. The band did march for their opener, but then stood for 7 minutes before making a final formation spelling out Vaughn. Now we do give them credit for actually having the band march a bit, so kudos to the staff for that. So was it worth it? Is this the future of halftime shows? There is definitely great value in doing this once per season. You can build a huge amount of buzz and excitement for halftime. You can get fans to come to the game if the stadium isn't filling up. You give the students in band a unique experience to perform with a big time artist and if things go well you have the chance to reach a much bigger audience through social media than you would normally due to interest from fans of the artist. So yes it is definitely worth doing. But let's do it only once per season. In LSU's case, 3 Doors Down was the third band that they had contracted with to perform with them during the season. Originally they had two halftime shows going to performances with live acts. First they scheduled OneRepublic. 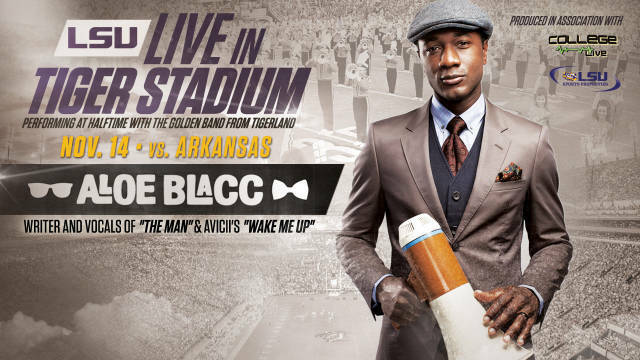 Then they scheduled Aloe Blacc. Both canceled their performances. Enter 3 Doors Down. There are typically only seven home games per season for a big time football program, sometimes eight. Giving two or three of those away to live acts seems like way too much. If each of those halftime shows had the bands just standing and performing, you might as well just have them sit in the stands like they do at the Orange Bowl. Put the live act on the field and leave the band sitting in the stands. Having played and marched in the Orange Bowl I can tell you that it is a very boring halftime experience for a college band member. 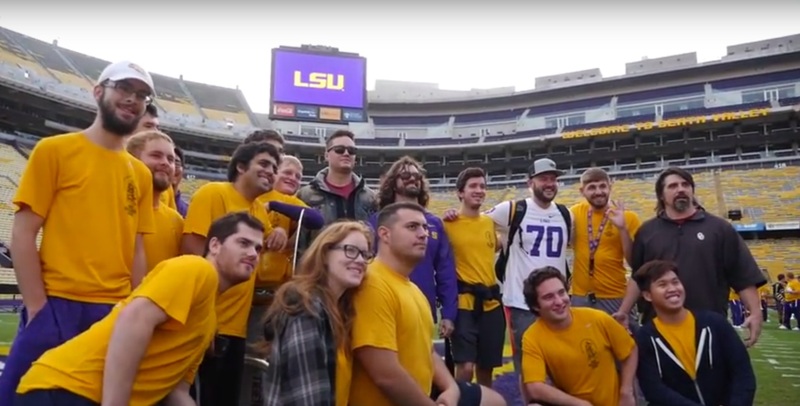 Without sounding critical of LSU as this was the first time they tried these shows, it seems that they leaped at an opportunity without truly thinking about the band student experience. Athletic Departments do that often, but giving away two to three halftimes in a season is really disappointing especially when you have an amazing band like the LSU Band. Is this the future of halftime? 1) Use this for a game that isn't going to be sold out. Use it to attract fans to the game that aren't interested in coming because the game might be a blow out. Fans in seats means more $$$. Why would you do it when you know you will sell out regardless? 3) Remember the seniors. Don't integrate this into the last home game of the year. Let them march. 4) Actually let them march! Set the field so the band can still march with the integration of the live act. No one wants to stand for 12 minutes. 5) Save it for a day game. Doing this during a night game is cruel to the band members. Night games are special and the band deserves to shine at halftime for those games. Halftime is an ever changing landscape and schools/bands should continue to push the boundaries of what could happen at halftime. Let's just make sure that we keep the student band member experience as the top priority, always. Share so all fans can enjoy and leave your thoughts in the comments below. Do you like live acts being integrated into halftime shows? Should schools try this more often?